They might be identical, have almost the same name, but the 2018 Chrysler Pacifica and 2018 Chrysler Pacifica Hybrid carry compelling differences. We have broken down the differences between these two separate models in order to see which one you would prefer to cruise around with. Also, we want to make sure that these models are distinct from one another since people tend to confuse them as the same thing! The 2018 Chrysler Pacifica always give Nashua area drivers a powerful charisma on the road. Moreover, it has been redesigned with an all-new platform, delivering class-leading ride and handling. This will greatly reduce the vibration and harshness. Every trim comes standard with 3.6L Pentastar® V6 engine that will allow you to reach up to 287 horsepower and 262 lb-ft of torque. For the Chrysler Pacifica, you have your choice between six different trims, all ranging from special features! These include the L, LC, Touring Plus, Touring L, Touring L Plus, and Limited. When it comes to technology, the base model includes a Standard Uconnect® 4 with a 7-inch Touchscreen, Apple CarPlay® Support, and Android Auto™. In terms of price, the Chrysler Pacifica is a bit less expensive compared to the Hybrid. The starting MSRP* for this model is $26,995. Additionally, the estimated MPG City/Hwy** for this minivan is 19/28. As for the 2018 Chrysler Pacifica Hybrid, shoppers near Nashua know already the biggest difference between these two models. All hybrid trims operate with a 3.6L V6 eHyrbid engine that is electrically charged. The engine operated on an Atkinson Cycle, which uses reduced air-fuel mixture for enhanced efficiency. This can provide an estimated 260 horsepower. One of the most amazing qualities about this hybrid model is that it’s the first of its kind in the minivan segment. On the other hand, the Pacifica Hybrid only has three trims compared to its counterpart. These trims are the Limited, Touring L, and Touring Plus. This Hybrid steps it up compared to the Chrysler Pacifica in terms of technology. The base model has Uconnect® 4 with an 8.4-Inch Touchscreen, HD Radio™, SiriusXM Guardian™, Hybrid Electric Pages, Android Auto™, Apple CarPlay® Support, Integrated Uconnect Voice Command, Bluetooth® Streaming Audio and SiriusXM® Satellite Radio. While you can find this in trims of the Chrysler Pacifica, you will need to get a higher trim for this to be added. You find incredible fuel economy in this ride. The MPG** is estimated at 84 HWY. It also has a total electric driving range of 33 miles. Chrysler Pacifica bests its Hybrid competitor in terms of MSRP*, which is $39,995. Although they are different in unique ways, they still offer available leather upholstery, seating for up to seven, and optional Uconnect® Theater that has dual 10.1-inch HD touchscreens. If you are interested in any of these models, we’re happy to help you get the exact vehicle you want.  Contact Contemporary Chrysler Dodge Jeep Ram FIAT at (844) 500-6722(844) 757-3258 to schedule a test drive.